The best Digimon game in ages is getting a follow-up, because that’s how successful games work. Digimon Story: Cyber Sleuth - Hacker’s Memory is coming to PlayStation 4 and Vita in Japan later this year, with a Western release in early 2018. Not quite a sequel, Hacker’s Memory is asaid to follow the events of the original Cyber Sleuth game from the perspective of Keisuke Amazawa. Accused of a crime he didn’t commit, he enters the digital world and joins a group of hackers in order to clear his name, while befriending Digimon and tackling the problems facing the strange dimension. Though it doesn’t look like playing a female protagonist is an option this time around, I am looking forward to more Digimon RPG action with a Persona flair. Here’s a very quiet bit of footage released in Japan. 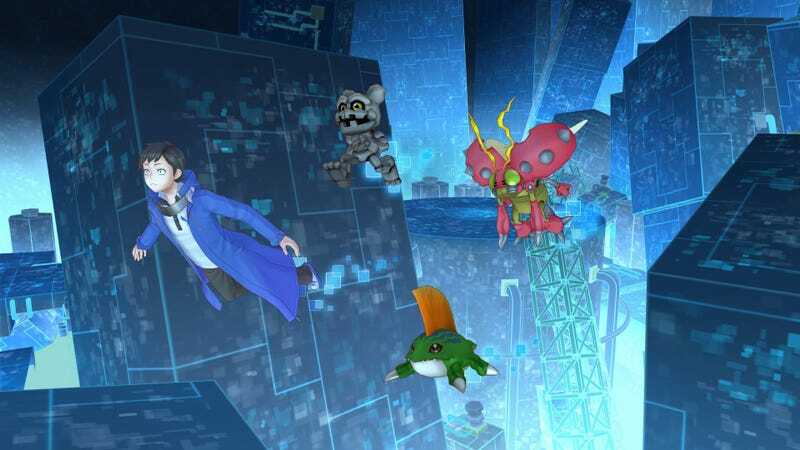 Digimon Story: Cyber Slueth - Hacker’s Memory has been announced for European release in early 2018, with Japanese voices and English and German subtitles. A North American release is inevitable.